Horizons Albuquerque is an enrichment program for PreK-12th grade students with the goal of making learning engaging and a life-long passion. Students attend the program in the summer for six weeks, followed by additional support throughout the year. Horizons National, based in Connecticut, is a national network of programs with the same transformational and community-centered model, designed to address achievement and opportunity gaps for low-income students, and to combat summer learning loss—the well-researched phenomenon of students losing ground over the summer if not engaged in learning activities. 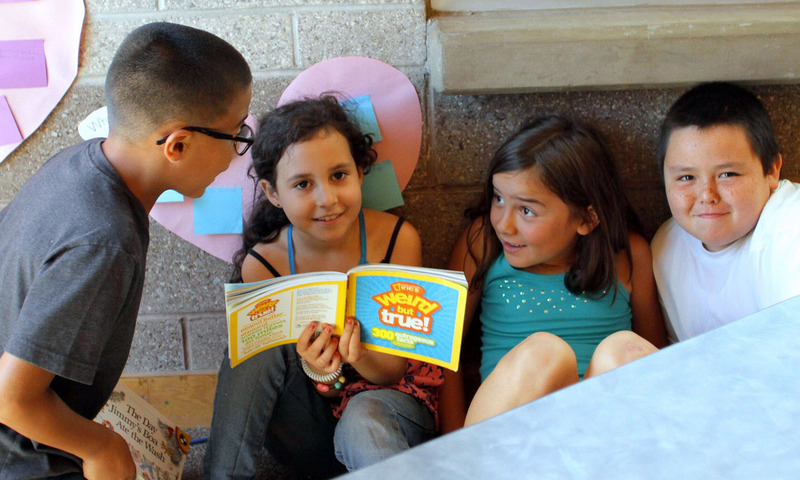 Horizons Albuquerque began in the summer of 2014 and is located on Bosque School’s campus. Since the summer of 2015, the second year of the program, Horizons Albuquerque has served first through fourth grades, and will add a grade level each year until the program serves students in all grades. The program is designed for low-income students in public schools who typically lack access to enriching experiences that help build confidence and advance academic skills. Public and private partners work together with the goal of engaging students in learning experiences during the summer and supporting their continued learning throughout the year. Bosque School is a key partner in developing the educational program, which aims to bring struggling students up to grade level and beyond. Once enrolled in the program, students remain enrolled throughout their school career, as long as they and their family members remain consistently involved, taking advantage of the opportunities offered in the summer and the school year. 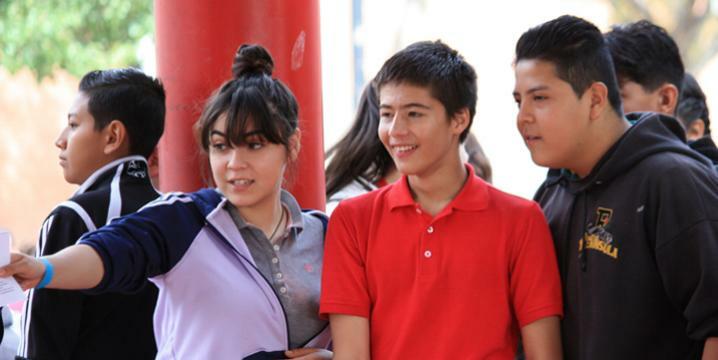 Vision statement: Horizons Albuquerque envisions a future where every child in New Mexico is fully engaged academically and confident in his or her ability to pursue their dreams. 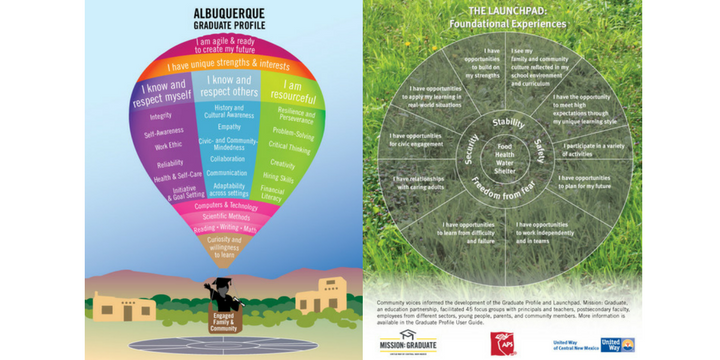 Mission statement: To improve life opportunities for low income children of New Mexico by addressing the academic achievement gap. Horizons Albuquerque partners with Albuquerque Public Schools (APS), and with Los Ranchos, Griego, and Navajo Elementary Schools in particular. Students are nominated by their teachers and principals in their home school. The program design requires that about two-thirds of the students are below grade level in reading and/or math, and all participating students are eligible for free or reduced-price meals. Because Horizons’ model emphasizes family engagement, active family participation is a requirement. Siblings receive preference in admission to the program. 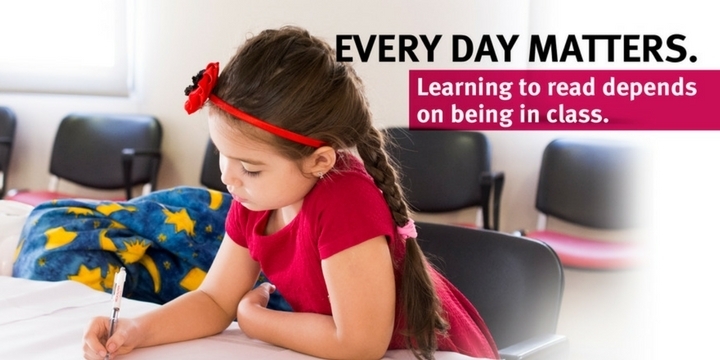 Evidence-based instruction: Horizons Albuquerque uses evidence-based reading and math interventions, a Common-Core-aligned curriculum, and data-driven goal-setting to enhance student learning. Integrated learning: The program model emphasizes hands-on, project-based learning that instills skills for success and combines high-quality academics with sports, art, music, an outdoor environmental lab, and cultural enrichment. Horizons also uses health and wellness strategies in dance, yoga, and swimming to develop self-confidence and self-care skills. Family workshops: Family members receive six workshops on topics such as math games, engaging students in reading, conducting successful parent-teacher conferences, advocating for their student, financial literacy, and home energy efficiency. Year-round tutoring: Bosque students provide tutoring at the partner public schools during the year, also volunteering at Super Saturday gatherings that nurture the Horizons’ community and support students’ academic development. Funding structure: Offered free of cost to eligible students, this program takes place on the campuses of independent schools, colleges, and universities nationally. Horizons National supports the affiliate programs with seed money in the first year, scaling the funding down to 50% in the second year, and withdrawing financial support altogether by the third year, requiring that the Horizons affiliate secure funding from other sources. 59 students and their parents/grandparents participated. Student attendance was 98% over the summer. 100% of the parents/grandparents attended at least half of the summer family programming, and 85% attended programs through the school year. More first and second graders scored at grade level for literacy after participating (see graph below). Third and fourth graders who were below grade level made an average 2.2-month gain in reading and 3.3-month gain in math on the STAR assessment. All third and fourth graders made an average 1.0-month gain in reading and a 1.3-month gain in math. To be selected as a Bright Spot, a program had to provide evidence that children or adults touched by their interventions were better off after participating. While the strength of evidence varied from program to progam, all Bright Spots were able to show -- at minimum -- a correlation between participation in their program and positive outcomes. Those with stronger evidence provided pre- and post-data on participants in comparison to a similar group who did not participate.